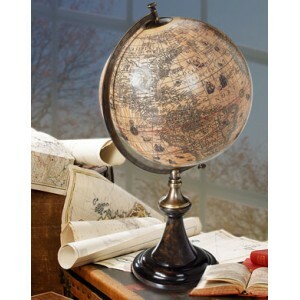 A classic French globe stand in a rich and perfect match of ebonized wood and bronze. Solid and still fragile, elegant and imposingly present. 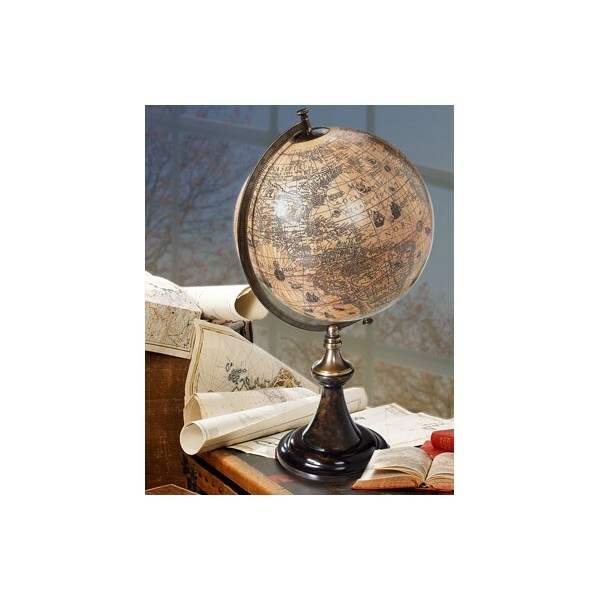 Beauty is in the eye of the beholder… Choose from three cartographers; maps are from the 16th, 17th and 18th C.